With a passion for brand-centric outcomes and an advocate for marketing and digital literacy, I believes digital technologies are empowering tools for raising economic and social standards globally. with Diciri Indonesia i manage Rosebrand, Kalbe Group (HydroCoco), Telkomsel, O Channel TV, Okky Jelly Drink, Unisadhuguna ect. With a background in Digital Content Expert to be strategic leadership, business development, digital marketing and international partner management, i have been instrumental in the creation of brands of digital marketing content & strategy. Before founding Diciri Indonesia company, my experience in the service industry was not new. I worked in Broadcast Industry to create TV Commercial. after 4 years, i got new career, The viral story world wide is i worked for one of the biggest soccer players of Juventus and Italia National Team, Giorgio Chiellini in resetgroup srl. Enjoy with him and resetgroup company within 2 years, i reach my another goals, since 2015 (until now) i become Juventus FC on Loan Player Coordinator Personal Assistant to support Juventus Management to create content marketing for young player at Juventus FC until now. Another fact, I also became a Digital Marketing Instructor and consultant for small business owners in Indonesia i.e. Lapis Bogor Sangkuriang, Lapis Kukus Surabaya, Bakpia Kukus Tugu Jogja, Cake Ala Ali by Ali Syakieb. Those are some of the reasons why i understands how to value people. So, who is Ponco Pamungkas? 1st, Ponco is Digital Marketing Content Strategy Expert, i work for who signed directly with him as consultant & creator. 2nd, Ponco is a Founder of Diciri Indonesia to manage his staff and provide digital content for a lot of Brand in Indonesia. The success of your content marketing strategy depends on the nature of your content. I will bolster your content marketing efforts in any platform: see my content skills in my resume, you will understand that Digital Content is so comperhensive but i'm so talented. Loud Speak in social media is one of strategy, to manage it we have media calendars and display targeted ads to audience on targeted Loud Speak in social media is one of strategy. I use data to do things such as show ads from advertisers trying to reach people in or near a specific interest. supported with tools manager, i can tailor content for your visitors and present information that is relevant, and i offer high technology in any platform surely. Content management is the set of processes that sort, collect, manage and publish the information after content creation. Analytic as measure tools help to see customer interaction progress. I'm working by Google Analytics, Social Media Insight Tools Certified measuring to make your your Digital Growth because most of the user behavior activities can be captured by data analytics. i can give it to you! "I would highly recommend Ponco Pamungkas if you are looking to build your brand online or just in need of digital strategy." "He is diligent, hard working, another rare quality. He is a pleasure to work with, as well as being good to respond and adapt to the needs of your brand." "Ponco has an in depth knowledge of the workings of Digital Content and over time has helped our company to identify the best ecommerce strategy and promotion." 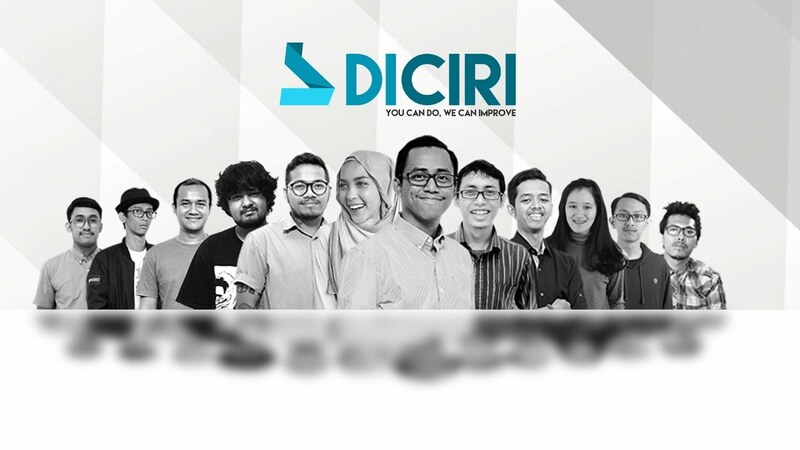 Diciri Digital Marketing Content & Strategy (Digital Startups) founded by Ponco Pamungkas, We’re a design and innovation firm that evolves businesses and brands. While we aren’t focused on a particular industry vertical we’re currently doing a great deal of work in High-Technology B2B, Business to consumer lifestyle brands, and emerging start-ups. Reset Group Srl is a service agency with operating locations in Rome, Milan and Turin. It works together in the marketing and communication sector by creating and producing events as well as managing celebrities image through sport agents and representatives. The DOC project began in 2004. It aims to organise official fan associations in order to spread and promote the priniciples and values of sporting culture, non-violence and peaceful co-existence, as outlined by the Olympic Charter. Founded by Giorgio Chiellini & Friends to bring Digital Era on Soccer Industry in europe. In Broadcast Industry, I create stylish and dynamic TV Commercials that will get client's brand noticed and talked about! i worked with client to develop ideas, create storyboards and organise all post-production. my expertise is co-ordinate editing, motion graphics, sound dubbing, and music composition. Start From Music Producer: Ponco is a writer, arranger, producer, and home recording studio owner. shaping the sound of another artist’s album or creating beats or songs for their own projects. With the growth of home recording technology and recording studio. Coaching and training NLP in personal development & personal development strategies. Certified Trainer of NLP & a member of the American Board of NLP. This courses provides an understanding of the available DM channels that marketers can use to achieve the digital marketing targets that have been derived from the marketing objectives for a product or brand. Given the nature of the online world, helping achieve the company’s overall organizational goals and objectives. i'm studied as Business Owner for 1 years 2 Months by icoach real coach with Yusa Aziz (Master Coach of Business Coach & Master Coach NLP, Master Hypnotherapy, Energy Healing Practitioner). Neuro-linguistic programming (NLP) is an approach to communication, personal development, and psychotherapy. HubSpot Academy Inbound Marketing Certification, offers certification courses, documentation, and training programs to help marketers and sales reps to learn all things. Over 19 hours of training, quizzes and practical steps you can follow - this is the most comprehensive (and best selling) digital marketing course by online. We'll cover SEO, YouTube Marketing, Facebook Marketing, Google Adwords, Google Analytics and much much more! I'm studied with Hermawan Kertajaya with MarkPlus Institute for 7days. MarkPlus Institute is the training and education division of MarkPlus, offering world-class people development solutions through in-house and public training as well as executive education programs in collaboration with prestigious institutions. Being experienced in the field of Information Systems/Information Technology. Learning music improves spatial learning, coordination and performance in studies, as has been researched. However, Elfa Music School is also considered as one of the best music schools in Indonesia. It was founded by Elfa Secioria, a famous musician and composer from Indonesia.